This picture was taken by Omar Ibrahim for Reuters and shows Hajja Maimouna (not Mayssaloun) Al-Amin hugging her great-great-great granddaughter in her home on Mother’s Day in Akkar. 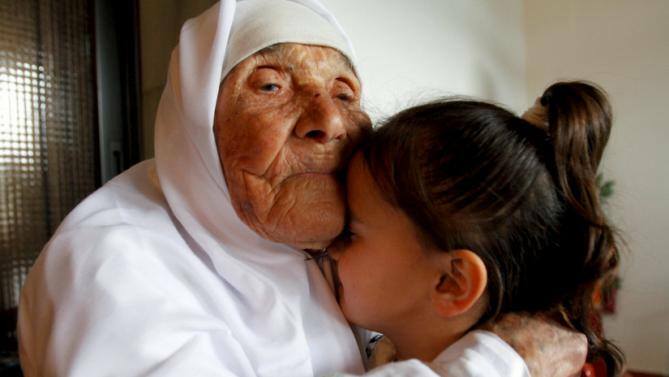 Maimouna al-Amin was born in 1890 which makes her 125 years old, while the oldest verified person ever was French woman Jeanne Calment, who died at the age of 122 years, 164 days. 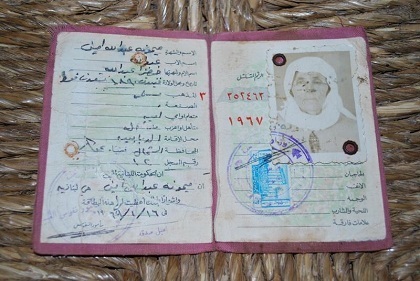 I’m wondering if anyone bothered to try and verify Hajja Maimouna’s birth certificate because if it is accurate, that would make her the oldest woman in the world. I found this old interview with her and she looks great for a 125 year old! Funnily enough, she even claims to have been born years before.